Nelissen Bricks: natural, sustainable building! Nelissen Bricks, manufacturer of facing bricks and wall insulation systems, is a well-established company in Limburg. The rich history of this company started almost 100 years ago when Nelissen profiled itself as local family business in the domestic market. Today, the company has become a major player in the international market with a turnover of 150 million bricks. 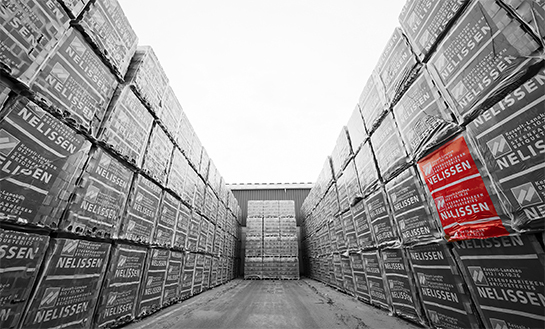 Nelissen Bricks has been providing facing bricks of the highest quality for 4 generations. Under the motto "a brick for each style", Nelissen offers a wide range of bricks for every style: classic, modern, presbytery or contemporary houses. All of this in more than 100 different colours and 8 different sizes. The Nelissen bricks are suitable for both traditional masonry and modern techniques such as glueing or bricklaying with thin-bed mortar.